We talk about so pretty big news regardiong Linus’ Temporary Leave from Maintainership of the Linux Kernel. 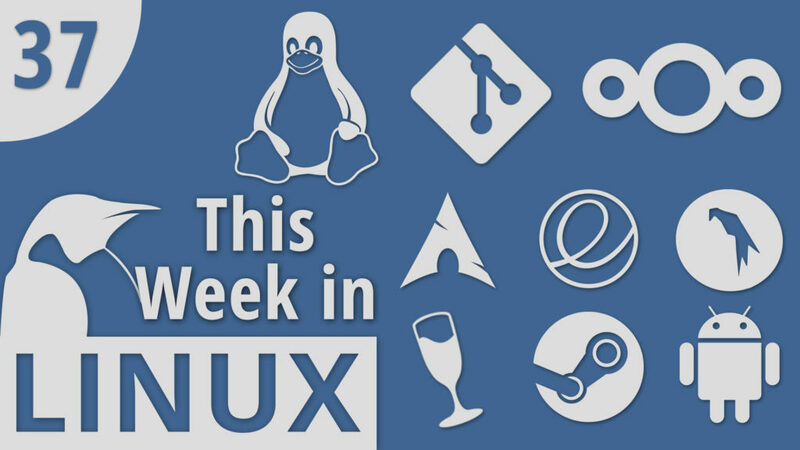 Then we’ll take a look at the new releases for Nextcloud, WINE, Git, Timeshift, Parrot Linux and Elive Linux. Intel has announced some new Open Source Firmware, KDE relased some info for the next version of the Plasma desktop environment. Later in the show, we will discuss some legal news regarding the Internet of Things bill in California. We also got some really exciting news for Linux Gaming, spoiler alert, Valve’s Steam Play is now available to everyone in the stable release of Steam. All that and much more!